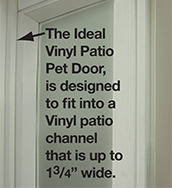 This pet patio door is specially designed to fit the existing vinyl sliding patio door in your home. Enjoy ease of access without the hassle! Fits Standard Height Patio Doors 76 3/4" - 78 1/2"
Medium 7" x 11 1/4" MODVPPMW 13 - 35 Lbs. 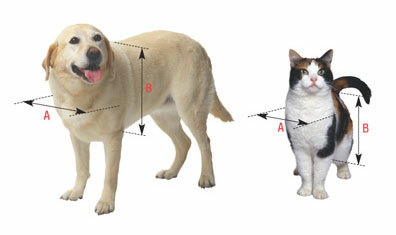 Extra Large 10 1/2" x 15" MODVPPXLW 36 - 90 Lbs. Aluminum Modular Pet Patio Doors™ "Great For Balconies"
Vinyl Modular Pet Patio Door "Great For Balconies"
Click the button below to add the Ideal Pet Vinyl Modular Pet Patio Door "Great For Balconies" – FREE SHIPPING! to your wish list.